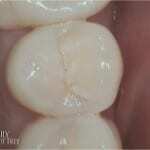 Depressions and grooves on teeth can cause an increased risk of decay. One of the most common questions our assistants and hygienists are asked by patients is “do I really need those sealants?” We asked one of our assistants to help you understand why we recommend sealants. 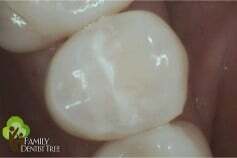 Dental sealants are a clear and protective coating material applied to the depressions and grooves of chewing surfaces to protect teeth from decay. Sealants are most often recommended for children and teenagers at the time premolars and molars begin erupting, but can also be recommended for adults. 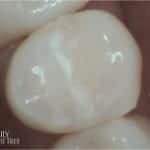 Applying sealant to these depressions and grooves decreases the risk of forming cavities in these areas. We check the condition of your sealants at each regular check up and cleaning visit, and sealants can last up to several years. 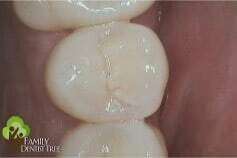 A common reason patients say no to sealants is because most sealants contain a trace amount of BPA. We now have BPA free sealants as an option at no extra cost. One of our doctors would be happy to discuss your concerns about BPA to help you choose the right type of sealant for you! If you have questions or think sealants may be right for you, ask us about them at your next appointment! Why did my doctor recommend I see my Dentist During pregnancy? How does overall health affect your oral health?